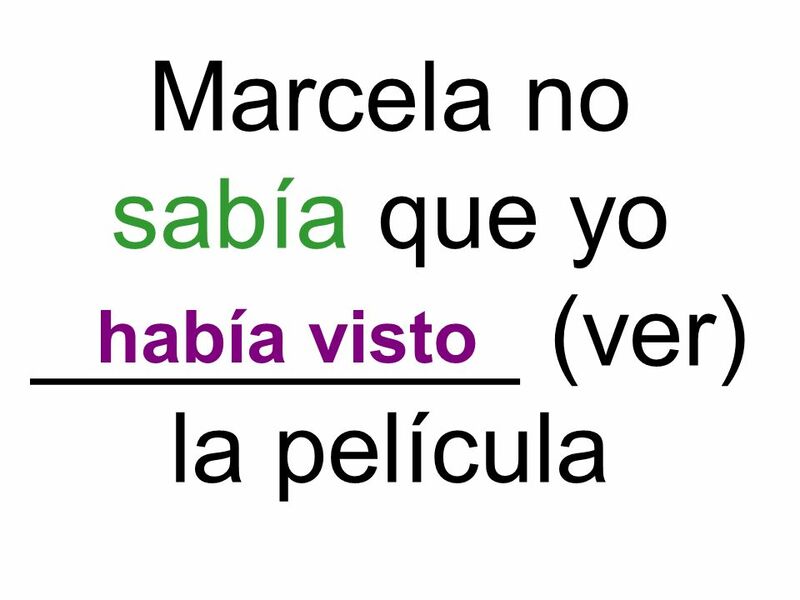 1 ¿Presente perfecto o Pluscuamperfecto? 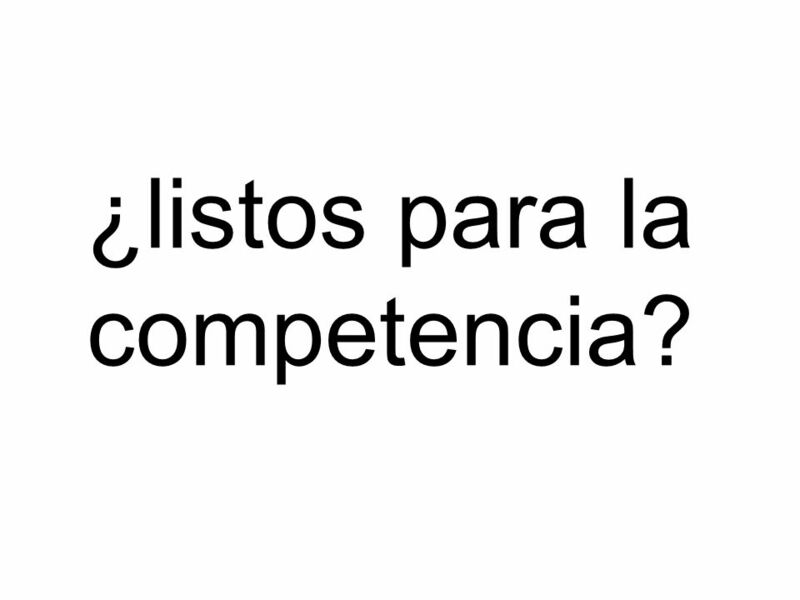 4 ¿listos para la competencia? 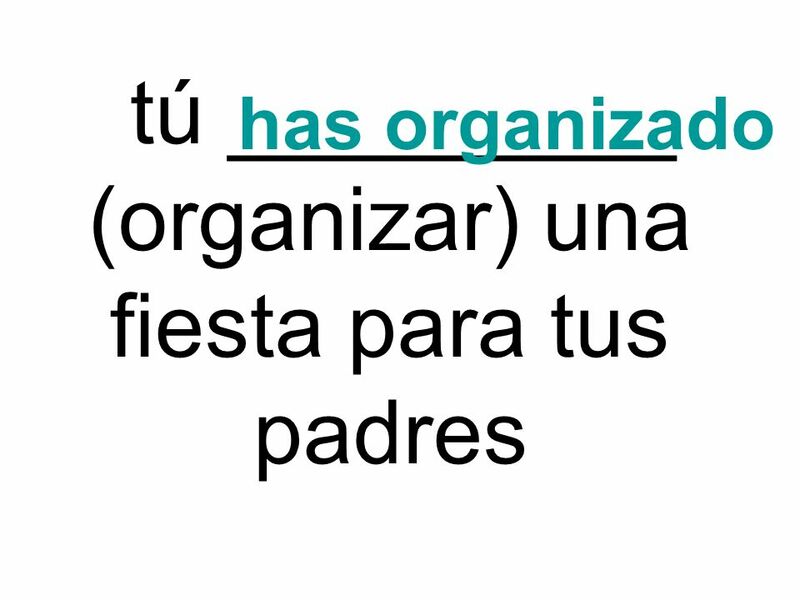 5 ¿_____ (ver / tú) a Pablo en la escuela hoy? 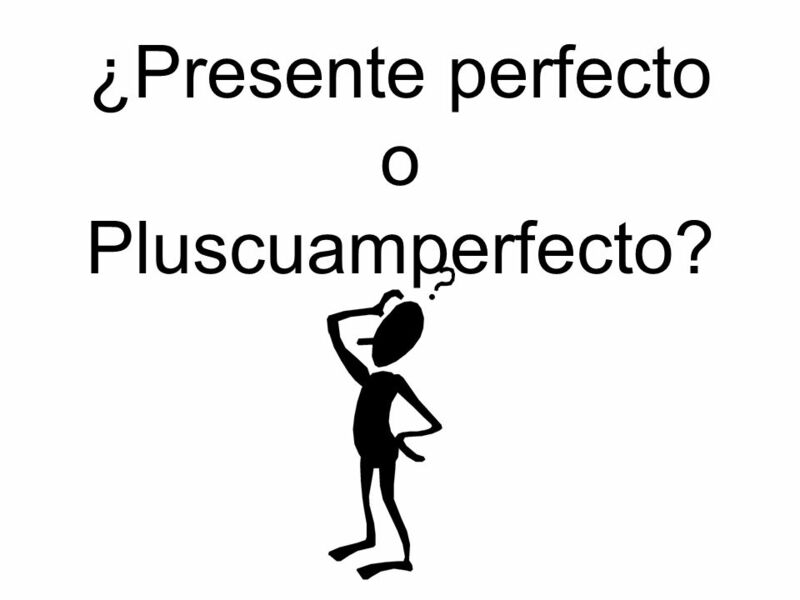 Descargar ppt "¿Presente perfecto o Pluscuamperfecto?" 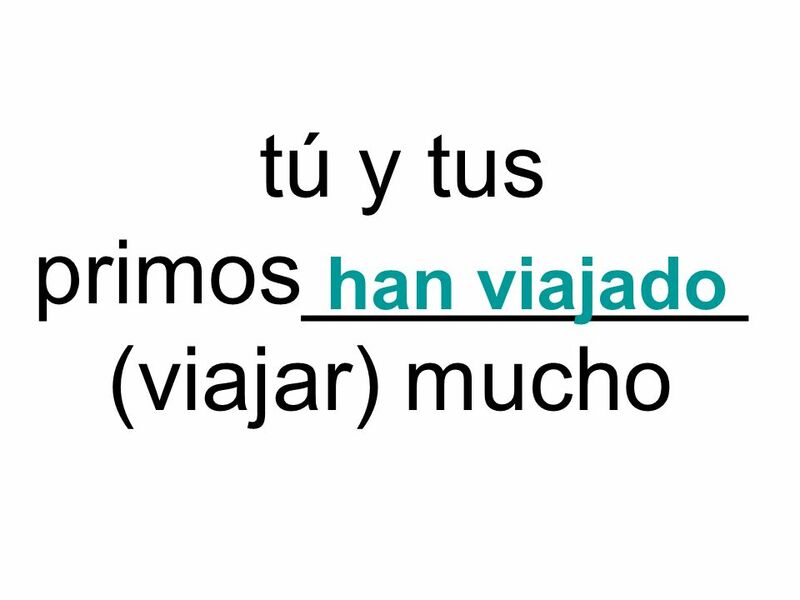 Using the preterite and imperfect tenses!!! 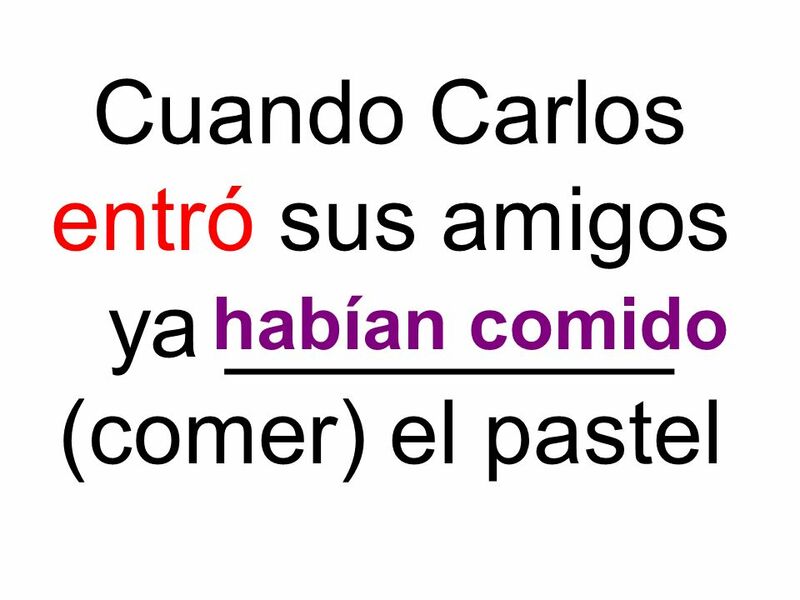 Now that we know two forms used for the past tense, the preterite and the imperfect. 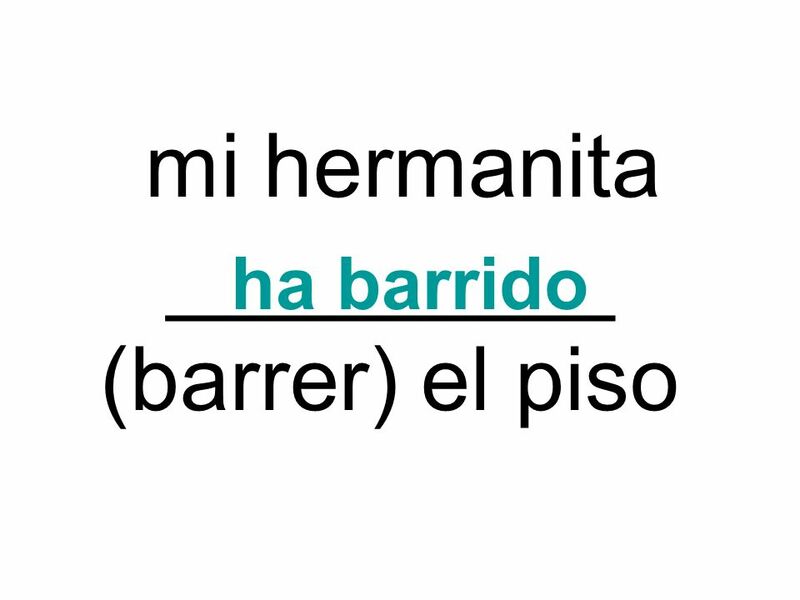 Lets look at how each. 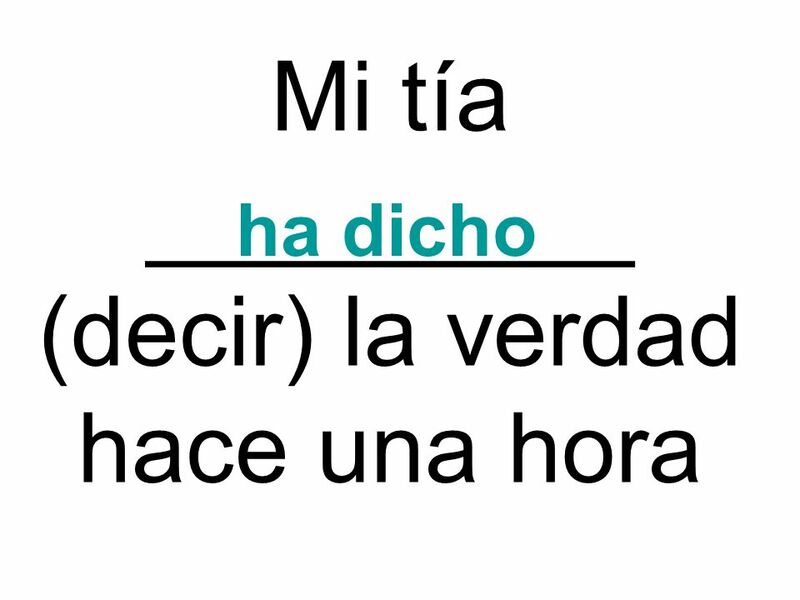 Present Perfect he hemos has habéis hahan + -ado for –ar verbs and –ido for –er/-ir verbs. 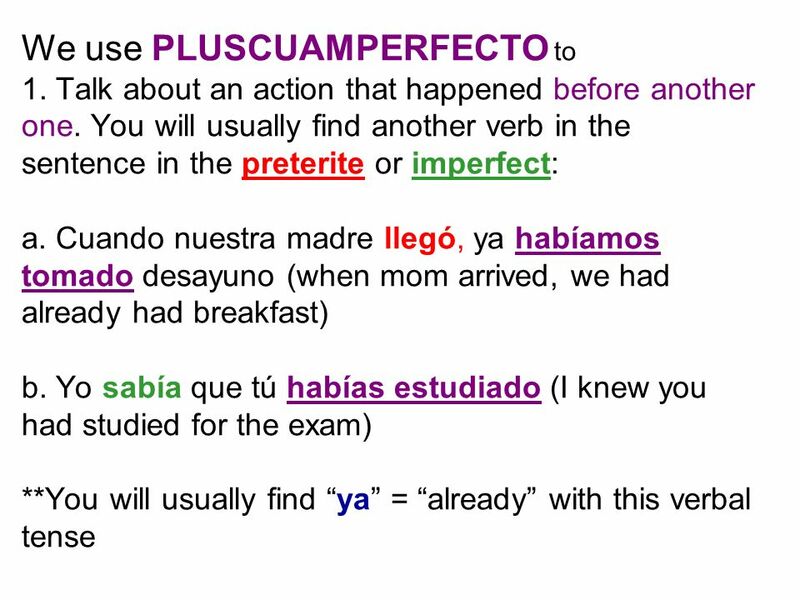 El pluscuamperfecto The past perfect tense. 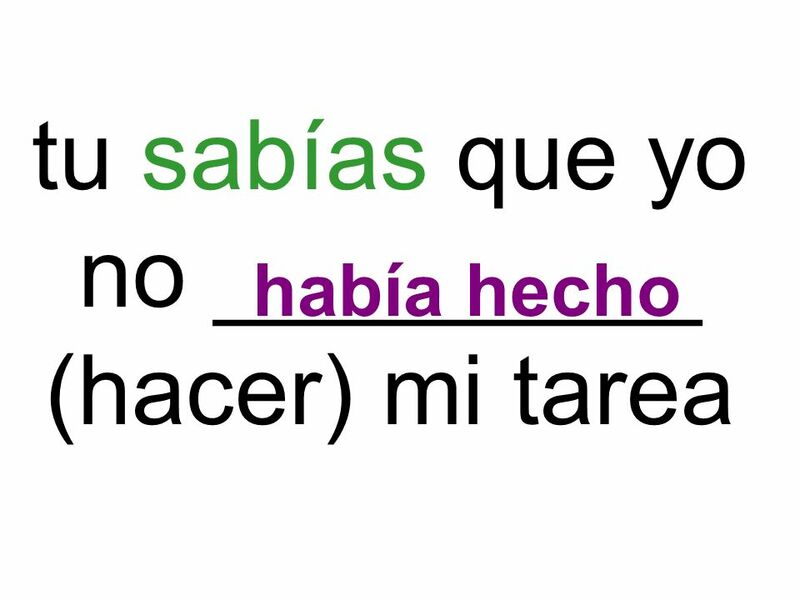 You have already learned how to use the preterite tense to talk about things that happened in the past Now you will learn another tense that will also. 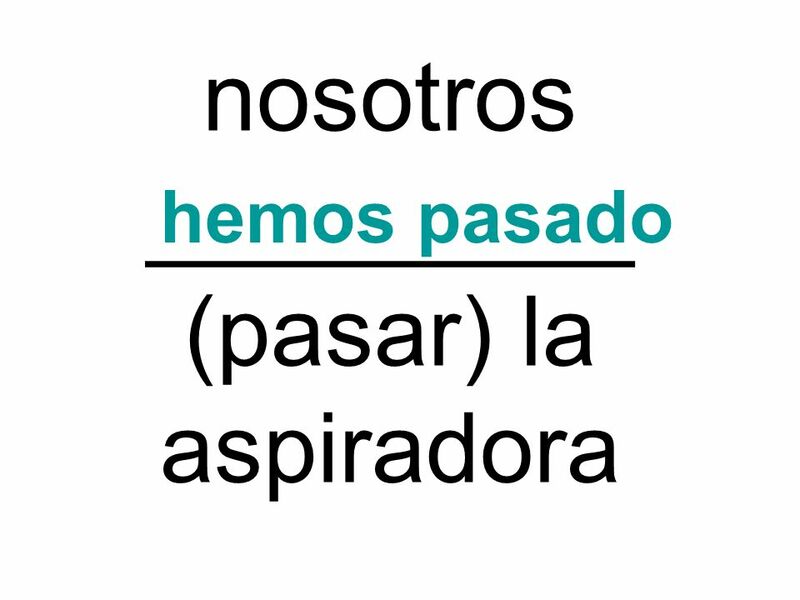 El Modo Subjuntivo Puedo diferenciar entre TIEMPO y MODO. 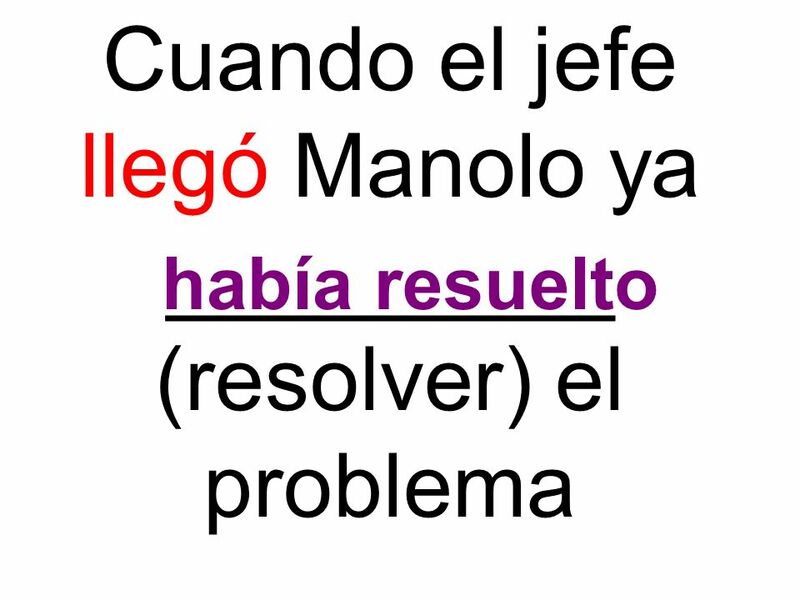 El presente perfecto Usen el presente perfecto para decir lo que han hecho las siguientes personas. 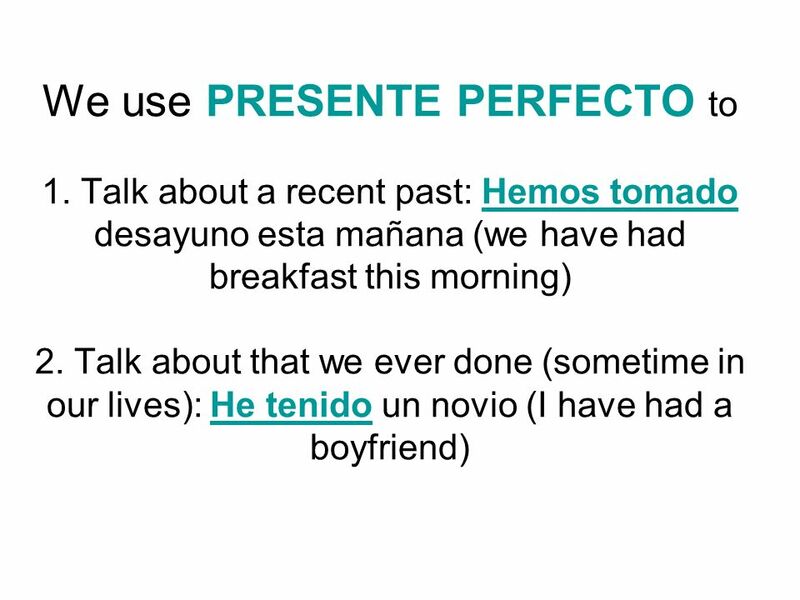 PAST PARTICIPLE PRESENT PERFECT. 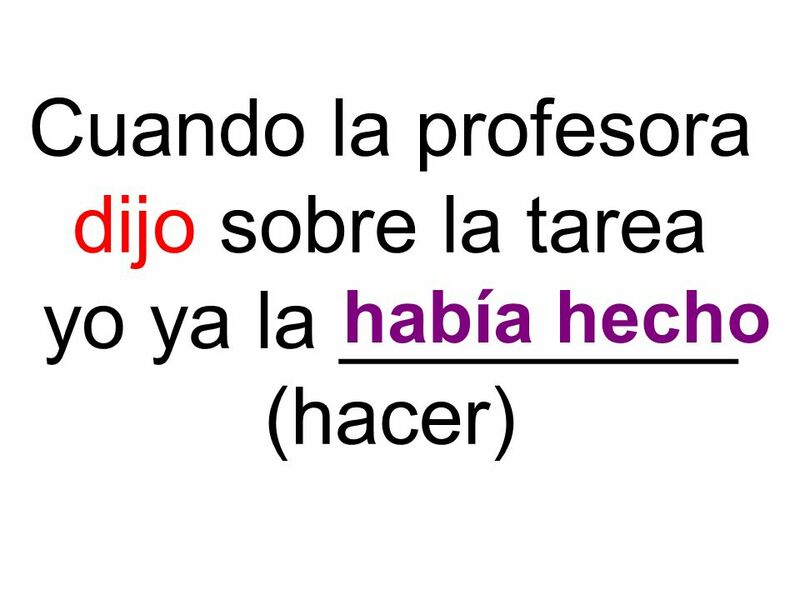 Regular Past Participle Ar verbs: drop the ar and replace it with ado Hablar  hablado Er verbs: drop the er and replace. 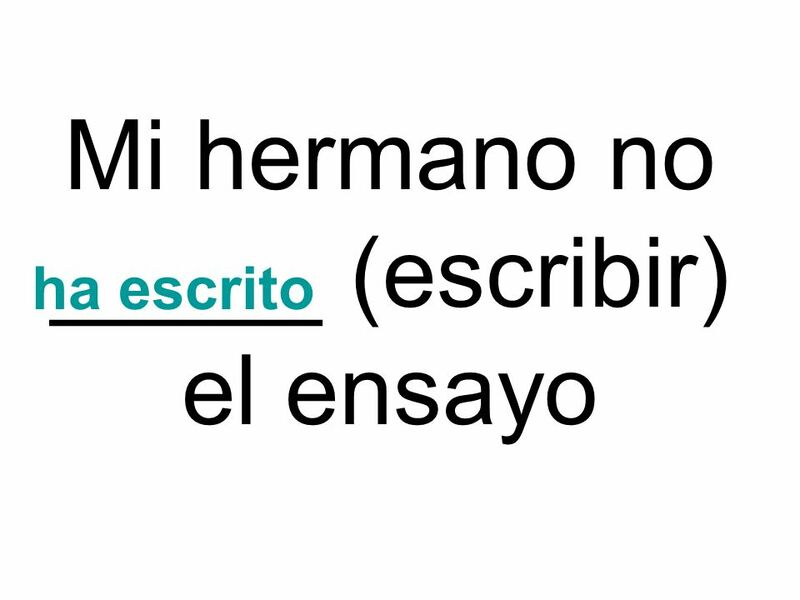 Los Perfectos Los apuntes de clase. 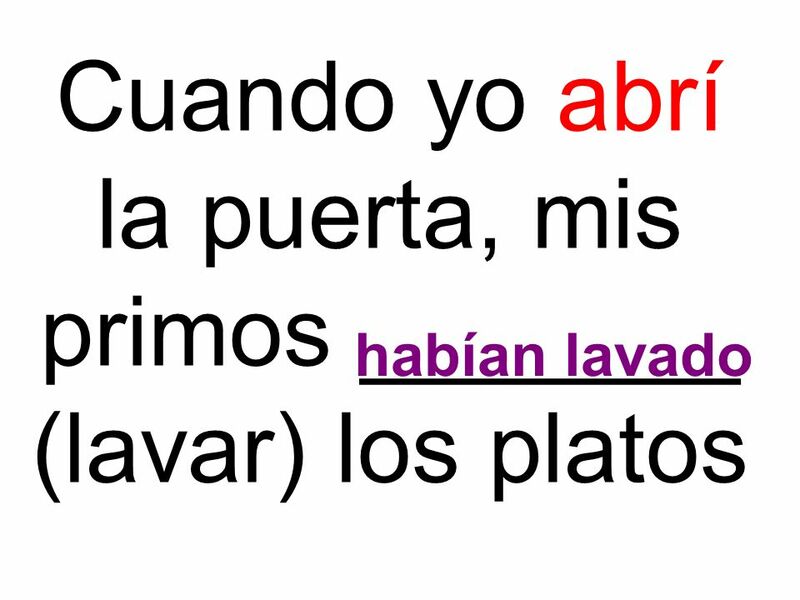 REPASEMOS LA TAREA Cuando Héctor y yo ____________________ (*ESTAR*) en Madrid, nosotros ___________________ (VISITAR) el Museo del Prado. _______________________.